I like it very much. I like the space you created, I like the sound of the cello and the recording quality and I like the graphics too very much! Deine Musik hat mir unendlich wohl getan, auch wenn ich im landläufigen Verständnis nichts von Musik verstehe. Deine Klänge sind so rein und beruhigend, das, was unsere Welt braucht. Danke dir nochmals für dein Geschenk. Die CD ist soooo schön! Ich höre sie jede Woche mindestens 3-4 Mal. Sie ist richtige Klang- und Musiktherapie! Sehr abgefahren, zieht mich total in den Bann deine Stücke. 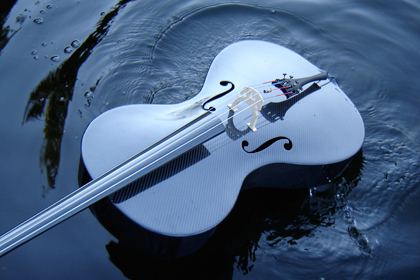 I was very surprised by the quality of the sound on CD ‘Liquid Cello’ – the cello comes out magnificiently. And this space you inhabit to sustain execution of musics is quite unique: it leaves no choice than to stop. Hard to put in words. It touches my heart, like being taken on a journey deep inside, far up into open spaces, through sadnesses and humaness and silences, pictures of nature… Very beautiful, thank you!